From installation to duct cleaning, Air Supply Heating and Cooling has all of your service needs covered. 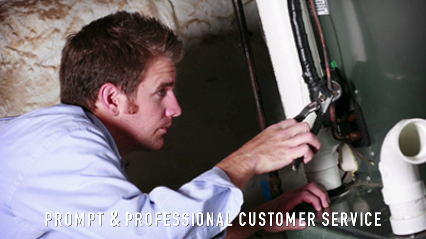 Air Supply Is Columbus’ Most Trusted Heating & Air Conditioning Service Provider Since 1984. When you get home after a busy day or waking up early in the morning Air Supply is here to help keep you comfortable. During the coldest months of the year, and the hottest of the summer season, Air Supply Heating & Air Conditioning has made it our priority to be there when you and your family need us the most. Since 1984, Air Supply has been taking care of Central Ohio's comfort needs. With Service You Can Count On, your friends and neighbors have depended on us for all their indoor air quality needs. Whether it be for routine repair or maintenance, new equipment, or our duct cleaning service- Your family can rest assured that our trained and certified technicians from Air Supply will help you create an optimal living environment.Our NATE certified technicians are qualified in the latest air conditioning and furnace technologies. They are trained on the latest advancements in energy efficient air conditioning and furnace installations and systems. Our valued customers have come to depend on our expertise for timely and affordable solutions to all their heating/furnace & air conditioning needs, as well as air conditioning maintenance repairs. Our reputation has been built on our customers’ complete satisfaction. Everyone at Air Supply Heating & Air Conditioning is dedicated to making you happy and comfy in your home. Call us today and you will experience the difference when you trust us with your furnace or air conditioner. What seperates Air Supply From Other HVAC Companies! • Locally owned for over 30 years.